Students for a Free Palestine and Jewish Voice for Peace present: Nyle Fort's lecture, "Freedom Dreaming: Black-Palestinian Solidarity in an Age of Repression." 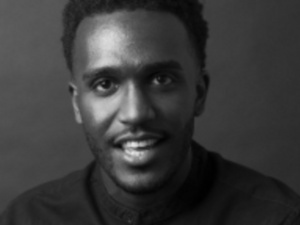 Nyle Fort is a minister and activist based in Newark, NJ. He has worked in the fields of education, criminal justice, and youth development for nearly a decade in various capacities including Youth Pastor of First Baptist Church of Lincoln Gardens, American Friends field worker at Union County Juvenile Detention Center, and research fellow at the St. Andrew Centre in Southern India. A freedom fighter committed to global transformative justice, Nyle brings his national experience and international lens to his local work. He recently traveled to Ferguson, Missouri to help build the Movement for Black Lives. Nyle later created Strange Fruit Speaks: a black church liturgy commemorating the last words of African Americans killed by police and vigilantes. In 2016, Nyle traveled to Palestine on a delegation with the Dream Defenders to build solidarity between black and Palestinian freedom struggles. In addition to his organizing work, Nyle has spoken at various academic, cultural, and religious institutions. His writings are featured in a range of publications including Harvard Journal of African American Public Policy; Socialism and Democracy; the Nation, the Guardian, Ebony, among others. Nyle received a BA in English at Morehouse College and a Master of Divinity at Princeton Theological Seminary. He is currently a PhD student in religion and African American studies at Princeton University.